Money orders and checks must be filled out in their entirety and payable to EPSO with inmate’s full booking name and ID number (this is the inmate’s number which begins with the letter “A”). 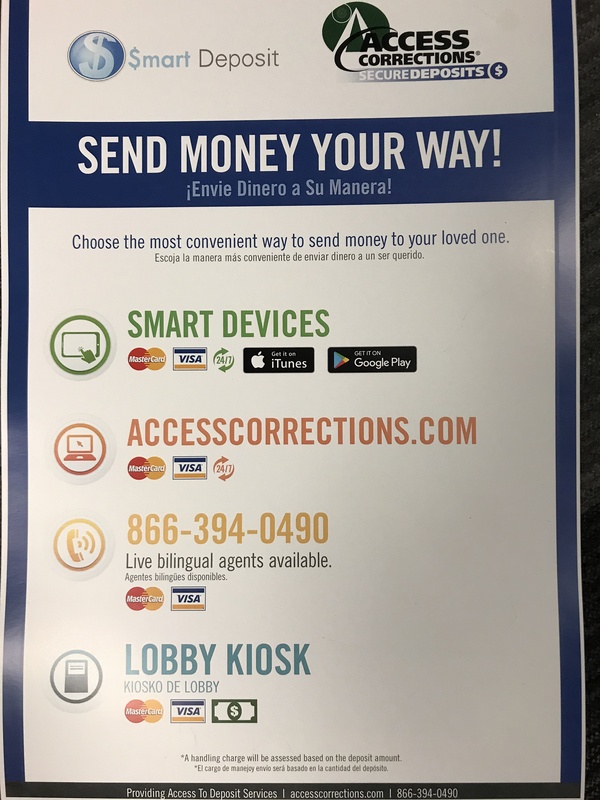 Using Access Corrections: Two easy ways for your friends and family to put money in your account. Please contact GTL Advance Pay Service Department at (866) 230-7761 to set up pre-paid phone accounts.